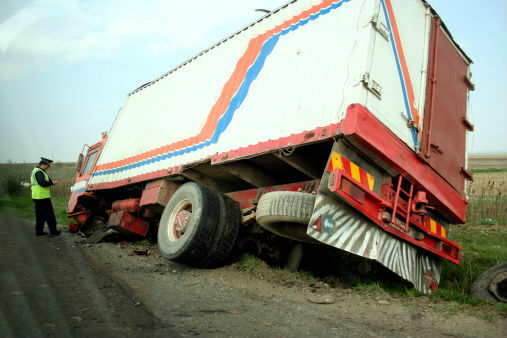 Trucking accidents often result in greater harm than typical car wrecks. It goes without saying that an eighteen wheel semi-truck can devastate both a passenger car and the people in it. These cases often result in extreme injuries to the car’s passengers and the need for ongoing medical care. If you or a loved one has been injured in an auto accident then it is important that you contact a trucking accident attorney as the insurance companies will be prepared to fight tooth and nail. Springfield Injury Law services all of southwest Missouri and is ready to assist you. Tractor-trailer accidents often result in extreme harm, if not fatalities. Such cases often leave the victims with a need for ongoing medical care. It is important that any settlement or court verdict provide you and your loved ones with both the means for long-term care and fair compensation for the reduction in quality of life. Unfortunately, insurance companies attempt to fight the requirement that one be paid what they deserve. It is important that you have an attorney who will use all the tools at his disposal to build your case. This includes establishing the negligence of the truck driver, proving the necessity of ongoing medical care, and proving the damages from both lost wages and your reduction in quality of living. If you have been seriously injured in such an accident then it is important that you contact an attorney immediately. Springfield Injury Law Tom Kapstrom is a trucking accident attorney firm ready to assist southwest Missouri residents who have been injured in trucking accidents. Once retained, Tom will quickly demand that all important evidence in the case be preserved. He will also acquire all the relevant police records and request driving logs from the trucking company. Should the insurance company not be willing to offer you a fair amount then Tom will quickly file a complaint with the Circuit Court to begin a personal injury case. Once that litigation has commenced he will work with medical and vocational experts to establish your damages. Our personal injury lawyer will aggressively and effectively protect you at trial and work to ensure that you receive what is fair. If you have been injured in a semi-truck accident then your life has likely been altered in a major way. Tom Kapstrom is a Springfield personal injury attorney who provides a higher level of service for southwest Missouri residents. He regularly gives out his cell phone number to clients so they can reach him when necessary. If one has been injured by a semi-truck then they are likely having difficulty getting around. When a client is too injured to meet at his office, Tom has been able to meet with people in their homes. He handles all matters in his office personally and you can rest assured that you will be dealing with your attorney and not a paralegal or other staff member. In other words, Tom provides his clients with the respect they deserve. Contact our office today for a free initial assessment. In addition to service Springfield, our lawyer handles cases in Polk, Christian, Stone, Taney, Webster, and Wright Counties. Tom can also offer assistance in cases involving car accidents and motorcycle accidents.